How I train singers and vocalists online? For a very long time I believed the only way to work with singers and their voices was to do it in person. But in this busy day and age, I find more and more people are moving towards receiving their vocal training online though video calling / conferencing. And I have too and honestly, I think it’s great. Web platforms such as Skype and Zoom allow me to interact with singers and songwriters all over the world. MY ONLINE TRAINING PACKAGE: The Perfect solution for vocalists wanting to master their technical skills. How does it work online with video? Firstly, I begin with a 30-minute conversation with all new clients to help establish what are your needs and to establish if my coaching will be suited to you. This initial conversation is FREE. It has to be! This is also a great way to discover whether your internet connection speed is capable of what is required. I suggest a minimum of 5mb/sec (ADSL2 or higher), but this isn’t always the case. From there, I offer monthly packages of 4 weekly sessions that are 45 minutes in length where we get to explore the ins and outs of your voice online. Like all my lessons whether they are online or in person, learning and mastering changes is my main objective. After each session I email a detailed and personalised vocal training plan for you to continue your training when I’m not around. 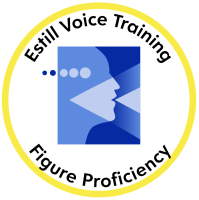 "In this busy day and age, I find more and more people are moving towards receiving their vocal training online though video calling / conferencing... I think it's great."